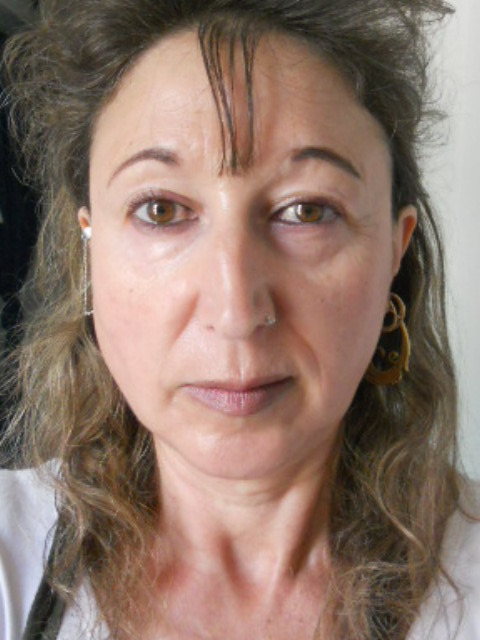 Marijo Alba Sánchez’s academic formation in art began in Madrid at Carlos Lorenzo Drawing and Painting Academy. While at the Academy, she took part in Carlos Lorenzo’s art collective, exhibiting work in galleries and cultural centres throughout Madrid. Sánchez studied Metal work at Art college for two years. Her passion for black and white photography lead her to Casa del Reloj Cultural Centre, where she studied for two years. In 1994, Sánchez won the first prize awarded by the Arganzuela Cultural Association, Madrid in the ‘Landscape photography and technique’ category. Her graphic work has been published in various magazines. Sánchez lives in London and studied Art foundation for one year at Lewisham College. This year she won the second prize awarded by the Friends of Ruskin Park, Camberwell on colour photography. My shero is my friend Decher who, at 17 years old, left her family in Lhasa, Tibet, and travelled to India, surviving in extreme conditions. 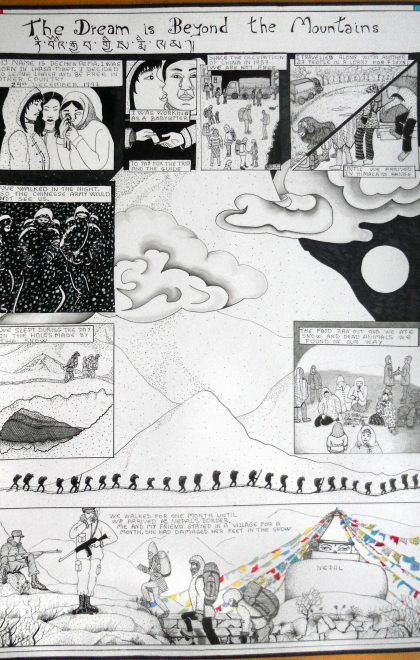 I am presenting a comic entitled Beyond the Mountains is the Dream. 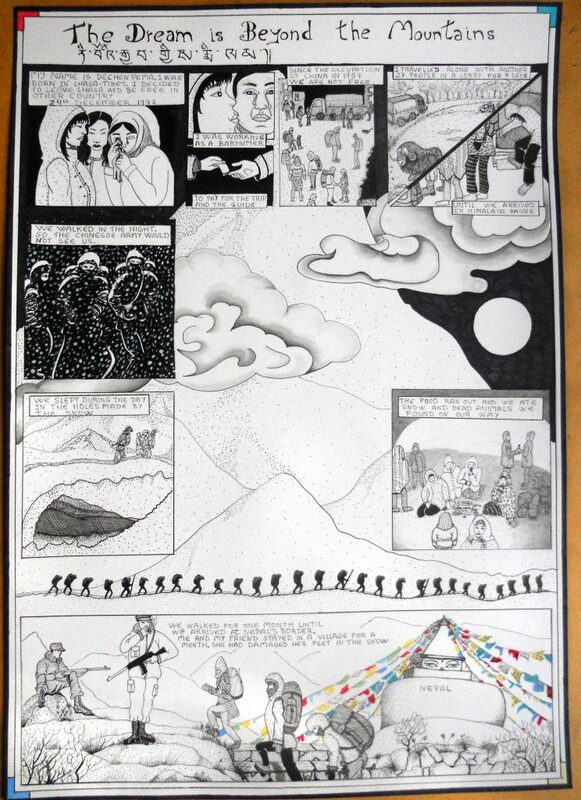 I believe this comic may be the first of its kind, and I am researching Tibetan painting and drawing for the illustrations. 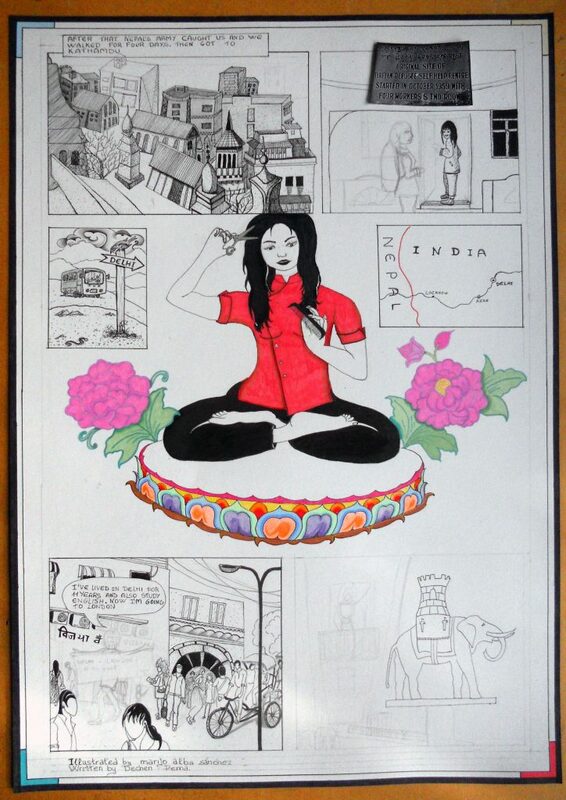 The comic is inspired by Decher’s journey .After travelling by lorry with 26 people for three days, she crossed the Himalayas to Nepal with the group and a guide. It took them one month to reach the Nepalese border, sleeping in the daytime and walking at night, to hide from the Chinese soldiers. After running out of food, they survived by eating dead animals and snow, and two of her fellow travellers were airlifted to hospital because of the freezing temperatures. 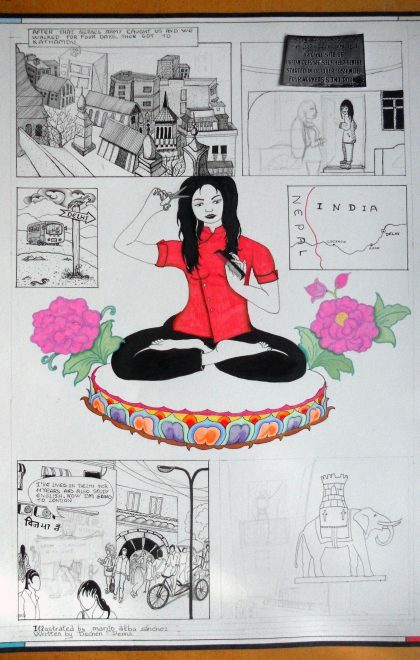 She spent four months in Nepal and then Decher and her friend moved to Delhi, India. She lived for 10 years in Delhi before moving to London. I consider the comic a tribute to all women who, like Decher, have struggled to make their dreams possible.